Megan McCleneghen is originally from Dallas, TX. She received her B.A in Religious and Pastoral Studies from Mater Ecclesiae College in Smithfield, RI. Megan worked as a coordinator of religious education and as a high school youth minister in Houston, Texas. In 2014 she moved to Washington DC to begin a master's degree in theology. She is a current student of the John Paul II Institute at the Catholic University of America. Fr. Frank S. Donio, S.A.C., D.Min. is Director of the Catholic Apostolate Center and Provincial Rector of the Immaculate Conception Province of the Society of the Catholic Apostolate (Pallottine Fathers and Brothers). He holds additional provincial, national and international positions in the Society of the Catholic Apostolate and in the Union of Catholic Apostolate (UAC), an international public association of the faithful founded by St. Vincent Pallotti in 1835, including Vice President of the UAC internationally and President of the UAC International Formation Commission. The UAC is in 51 countries with over 9,000 members and collaborators. His other ministries for the Society and for the UAC are primarily in administration, formation, development and finance. From 1997 to 2006 he was Pastoral Director of St. Jude Shrine in Baltimore, MD. Prior to that assignment he was Chaplain of Bishop Eustace Preparatory School in Pennsauken, NJ. 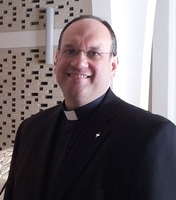 He has taught at The Catholic University of America, Fordham University, and St. Joseph's College of Maine. Fr. Frank has an extensive background in adult faith formation, pastoral care and practice, young adult ministry, campus ministry, and Church management. Over the last two and half years, he has been collaborating with the USCCB on the development and implementation of a print and online resource called The Pastoral Planning Guide for the New Evangelization which will be formally released later this year. As the Secretary for Pastoral Ministry and Social Concerns at the Archdiocese of Washington, Dr. Timoney coordinates evangelization initiatives and pastoral planning for archdiocesan parishes. She oversees the work of the Office of Family Life, the Office of Young Adult Ministry and the Office of Hispanic Catholics. Dr. Timoney earned her STD at the University of Saint Thomas Aquinas (Angelicum) in Rome where she focused on theology and Christian Spirituality. Susan lived and worked at the Lay Center at Foyer Unitas, a community of lay women and men studying at the Pontifical Universities in Rome. Today, Susan serves as a board member for the Lay Centre. Susan is an Assistant Adjunct faculty member in the School of Theology and Religious Studies at The Catholic University of America, where she has taught in the undergraduate and graduate programs. Currently she teaches a course on pastoral leadership in the doctorate in ministry program. 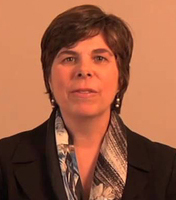 Susan teaches a course on the ministry of spiritual direction in the online theology program at St. Joseph’s College, Maine. In addition to teaching, Dr. Timoney lectures nationally and internationally on themes related to evangelization and the lay vocation and ministry. Convinced of the evangelizing power of social media, Dr. Timoney can be found @DrTimoney and blogging as part of the St. Joseph”s College theology department blog and a soon to be launched archdiocese of Washington blog. She is a contributor to the USCCB video reflections on the daily readings. In addition to her service on the board of the Lay Centre, Susan is on the Advisory Board of Landings Ministry. 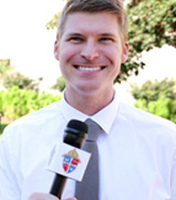 Jonathan Lewis is the Director of Evangelization, Youth and Young Adult Initiatives for the Archdiocese of Washington, DC. 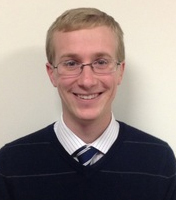 He supports parish and regional young adult ministry communities through program development and leadership training. Prior to working in the Archdiocese of Washington Jonathan worked in parish ministry for five years in the field of Religious Education, Youth Ministry, and Young Adult Ministry serving in the Diocese of Wilmington and the Archdiocese of San Francisco. He is an alumnus of the School of Philosophy at The Catholic University of America, holds a Master in Theology from the University of Notre Dame and completed the Echo: Faith Formation Leadership Program. Brian Romer-Niemiec holds a Master of Theological Studies with a concentration in systematic theology from the Boston College School of Theology and Ministry, and a Bachelor of Arts from The Catholic University of America. His academic and ministerial interests center around the intersection of sacramental theology and ecclesiology. In the past few years, Brian has served as a Confirmation catechist, music coordinator, and cantor in the Archdiocese of Boston. He also worked as a retreat minister at Capuchin Youth and Family Ministries from 2009-2010 in Garrison, NY as a long-term service volunteer. Currently, Brian is the Assistant Director of Admissions at the Boston College School of Theology and Ministry, where he is responsible for recruitment and marketing, and assists in strategic planning and mission for the school.